From Hobson Street in Cambridge there are two lovely towers peeping over the wall of Christ's College. 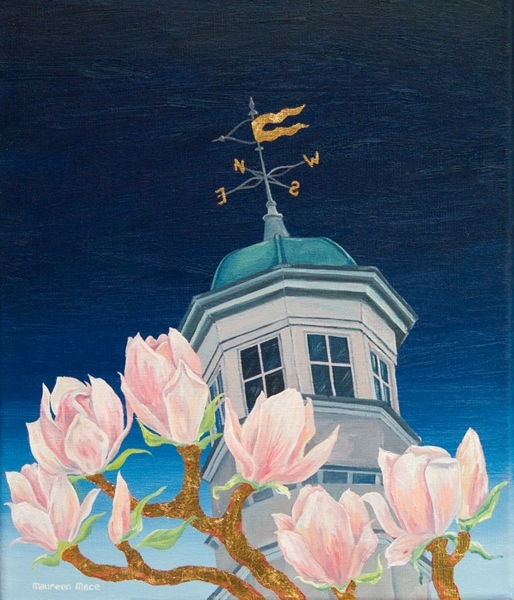 This pretty tower in the painting is on top of the chapel and has a golden weather vane. The wall in front of the tower has been magically transformed into a much nicer magnolia tree complete with shimmering golden branches.